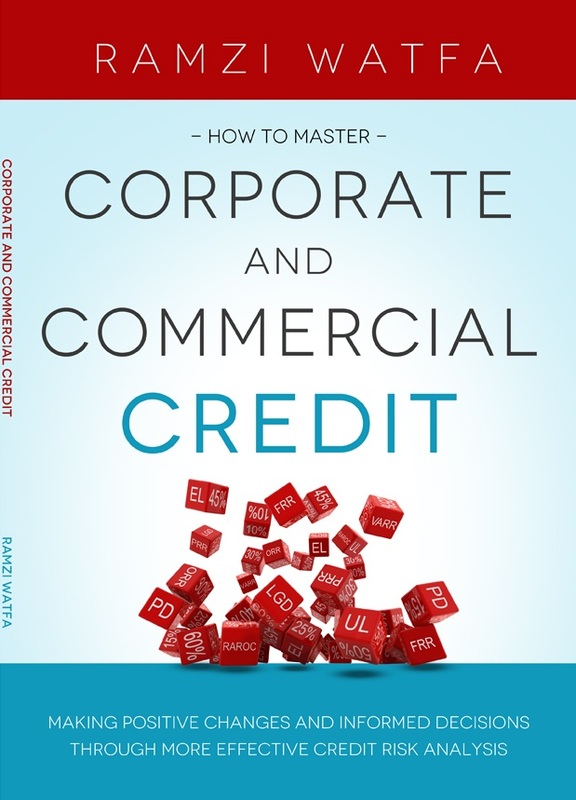 Over the past 13 years whilst selling our Credit Risk System and our Road to Basel Program, I was talking to bankers who lived mainly in the world of Standardize Methodology, where risk was measured by an excel sheet, where collateral mattered, and where essentially the measurement of credit risk was limited to a few factors. Now with the onslaught of IFRS9 where banks are required to measure both Probability of Default and Loss Given Default, ie become IRB compliant, the conversations are changing. Those that have not adopted our risk rating system nor our Road to Basel processes and procedures will find it difficult to adapt to a more methodical yet practical world. Their ability to detect problems early, manage portfolio risk, and set in place strategic initiatives to tackle and reduce measurable credit risk over time will be limited. They will end up spending phenomenal amounts of cash on consultants that by in large do not know how to manage the process fully. 1. The General Reserve is gone: Under IAS 39 considerations were mostly on past events, with the effects of future credit loss events not considered. To manage potential unexpected future losses therefore, banks had to carry a general reserve. As the global financial crisis unfolded, it became clear that the model actually helped banks postpone losses. Even though IAS 39 does not require waiting for actual default before impairment is recognized, in practice that was often the case. Hence the phrase “too little too late”. 2. Stress Testing: Also following the crises, the name of the game was to identify credit losses well in advance. This is not new to Basel as the definition of default was and remains the “unlikelihood” to settle on time and in full. Now this has been reaffirmed as the primary indicator of default, with the 30/90 days being nothing more than a back-stop. “Unlikely to repay” means forward looking assessment, also forward looking Analysis (not relying on Traditional ratios) and the need for Stress Testing. On Stress Testing, the assessment of whether there has been a significant increase in credit risk of a lending exposure should take full account, amongst other things (a) deterioration of the macroeconomic outlook, and (b) deterioration of prospects for the sector or industries within which the obligor operates. If your systems cannot Stress Test easily, call us for help. 3. No More Standardized: The rules as presented do not mention anything about Standardized Methodology; nor Central Bank leeway to allow for flexibility. Seems these have since been circumvented. Welcome to IRB on 1 Jan 2018. 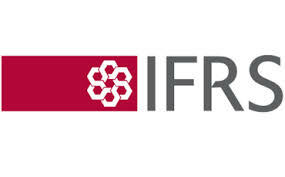 As a final nail in the coffin, Basel refers to the IFRS 9 paragraph 5.5.9, which requires that, when making the assessment of significant increases in credit risk, “an entity shall use the change in the risk of default occurring over the expected life of the financial instrument instead of the change in the amount of expected credit losses”. In other words, this assessment is made before consideration of the effects of credit risk mitigants such as collateral or guarantees, exactly as assessed under IRB. 4. Also the need to Validate: The emphasis on validation of risk rating systems has become paramount. So for those of you who still use other systems than the CRS, we will be happy to validate your systems. Beware of using auditors or affiliated consultancies (who are NOT bankers) as their knowledge of the world of Basel and how to apply it is very limited. the granting of debt to obligors based on fragile income streams (one-offs) or with no documentation or limited verification of borrower income sources. So please do not use Other Income as part of Net Operating Cash Flow (NOCF) in Cash Flow Analysis; and please do not lend without supporting financial data. Care needs to be exercised in dealing with obligors that have high debt servicing requirements as compared with their expected cash flows. This is NOT leverage. It is related to NOCF. … “credit losses very often begin to deteriorate a considerable time (months or, in some cases, years) before any objective evidence of delinquency appears in the lending exposures affected. Delinquency data are generally backward-looking, and the Basel Committee believes that they will seldom be appropriate in the implementation of an ECL approach by banks.” Obviously that includes traditional ratio analysis which is lagging. 6. Regulatory = Economic: “The Basel Committee expects that the definition of default adopted for accounting purposes will be guided by the definition used for regulatory purposes, and expects processes for both credit risk practices and financial reporting to be integrated, and for improvements in one area to facilitate improvements in the other”. Essentially there is no longer difference between Regulatory and Economic Capital. 7. Use of Product Programs: “Where a bank has a policy that allows it to extend high-risk lending exposures, the Basel Committee expects that the rationale for extending these exposures and associated governance process will be well documented and disclosed, and that the bank will be in adherence to sound underwriting practices and implement commensurately robust credit risk management practices.” This means having to produce Product Programs to cover Name Lending, Lending without Financials, and Object Finance. If you need help in that department, we will be more than happy to lend a hand. 8. Restructuring is a Default: “Modifications or re-negotiations can mask increases in credit risk, resulting in ECL being underestimated, and delaying the transfer to LEL for obligors whose credit quality has significantly deteriorated, or can inappropriately result in a move from LEL measurement back to 12-month ECL measurement.” In other words, rescheduling debt DOES NOT reduce its risk rating. 9. Early Problem Recognition is essential: Credit risk increases should be detected well ahead of exposures becoming past due or delinquent. “The Committee would view significant reliance on past-due information (such as using the more-than-30-days-past-due rebuttable presumption as a primary indicator of transfer to LEL) as a very low-quality implementation of an ECL model”. As such, we recommend the use of the combo of our Early Problem Recognition and Remedial Management procedures, Portfolio Risk Rating measurement, and the Credit Risk System (all of which we deliver) as well suited for the purposes. 10. Ongoing Assessments: One of the major differences between regulatory and accounting standards was the objective of loss estimates. Regulators generally demanded loss estimates to match long-term conservative default rates (through-the-cycle approach). This was managed through thresholds, eligibility criteria for collateral and add-on risk weights in case of unreliable or unrepresentative data. The focus of accounting standards on the other hand is an economically unbiased “best” estimate and a fair and objective assessment based on available information at the time (forward looking, “point-in-time”, conditional loss estimates). With the onset of the IFRS9 and the changes in the Basel accords to accommodate it, the distinction between point in time and pass through analysis will narrow. We envisage the taking of provisions to ultimately be done on an ongoing basis, not just at quarter and year ends. Again we will be happy to advise you on how to implement this. In the process, IFRS 9 calls for a comprehensive risk rating methodology, one that uses forward assessments, quantitative and qualitative factors, general economic conditions and an evaluation of both the current point in, and the forecast direction of the economic cycle. Despite the forward-looking elements, IFRS9 recognizes that historical information will remain an important base from which to measure future expected credit losses. However, historical data should be adjusted on the basis of current observable data to reflect the effects of current conditions and forecasts of future conditions (seems they were taking about our CRS after all ). The phrase I liked the most is “an entity is not permitted to estimate expected credit losses solely on the basis of the most likely outcome (i.e. use of the statistical modeling is prohibited).” Man this is going to throw many a risk rating system into turmoil. Example: A loan for USD 1 million with an estimated 12 months PD of 1%. LGD is estimated at 25% at default. The EL for 12 months that is taken as provision in the bank’s income statement year 1 is 1% x 25% x USD 1 mil = USD 2,500. So essentially IFRS 9 and Basel see eye to eye when it comes to 12 months default assessments. Where they differ is in the longer term credit loss assessments. As we see it, under IFRS 9 LELs are measured by discounting the cash flows of incremental provisions in later years. This means calculating separate ECLs and LELs at the outset of the relationship with the obligor. Year 1: A USD 1 million five-year term loan is provided to an obligor at the beginning of Year 1. The bank’s cost of funding is 4% per annum. However, because of the obligor’s rating, the bank estimates that its expected credit loss is estimated at USD 10,000 per year (1%). If no change in the risk rating of the obligor takes place over the five years, then this EL is likely to remain very much the same throughout (a big IF given that rates move with time depending on environmental and industrial factors). Accordingly, the bank charges the obligor 6% to account for the 1% spread and Operating Expenses (welcome to Risk Adjusted Return on Capital – RAROC calculation. If your system does not calculate RAROC then use our CRS). Under IFRS 9, the present value of the 12-month expected credit losses of USD 10,000 for the first year discounted at 6% is USD 9,434. That for the lifetime expected credit losses of USD 10,000 per year for five years discounted at the original 6% is USD 42,124. Under IFRS 9 the discount rate is the original effective interest rate, and the expected credit losses are discounted to the reporting date, not to the expected default or some other dates. On granting the loan therefore, the bank immediately records a potential loss in its income statement of USD 9,434 in the first year. From a net profit point of view this is compensated for by the increased spread charged by the bank to cover it for that risk. If the cash flows of collecting the funds from the obligor and those for the potential loss are made at the same period, then the net result is that revenue cancels the potential loss. Under this circumstance, the bank would have to ensure that its RAROC is higher on all transactions to make a profit. Year 2 No Change: If at the end of Year 1, there were no significant deterioration of the credit quality of the obligor, then there would be no change to the 12-month expected credit losses, and for the following year the same calculation takes place (assuming the same PD and LGD rates applied for that risk rating grade). This time however the calculation is made on a reducing principal if a repayment schedule was put in place. If the risk rating did increase slightly, then the provision taken in year 2 is the incremental increase in expected loss: Year 2 ECL less the USD 9,434 already taken in Year 1 as taken in the income statement, and recorded in the provision account on the balance sheet. Year 2 Significant Change (Stage 2): Now suppose at the end of year 1 there is a significant deterioration of the credit quality of the obligor as captured in a higher risk rating, but not significant enough to allow for an impairment loss. In our world that would be a risk rating of 7 to 8. The bank would then have to use the lifetime expected credit losses (ELE) to estimate losses, and as such would account for an ELE at the end of year 1 as USD 34,651 (USD 42,124 – 9,434 already taken for year 1). The extra provision that it will take for year 2 would be the lifetime loss of USD 25,217 being the remaining ELE of USD 34,651 less the USD 9,434 of ECL that would have been taken for year 2 had there been no change in rating. An Easier Way: Not very clean, and a little convoluted in my opinion Frankly I would rather use the straight forward Basel way of calculating PDs and LGDs where if the risk rating were to deteriorate, then the PDs are automatically raised in the exponential PD curve, and given that LGD already accounts for lifelong discounted losses in case of default, then ELs are calculated simply by multiplying the new PD with the LGD for that rating. Much cleaner and easier to apply. Again more on that in future…..
IFRS and Basel elude to changes in default rates very liberally. These are usually measured using a risk rating system, and if for example the rating of an obligor increases from say 5 to a 6, then its Expected Loss will increase from 1.5% (of its Exposure at Risk) to 3%. This is commonly measured over the next 12 months, and works very well with short dated exposures. Where the problem occurs is in long term facilities where exposures can stretch up to 10 years. As outlined in our earlier article on the topic, we mentioned that the treatment of default under long term exposures was managed through covenants to help “exit” relationships in case of negative trends, and that the risk rating system used would have to be forward looking, the facility structuring appropriate, and the covenants need to be the correct ones (very seldom the case). Under IFRS 9, none of that is used. Instead the same 12 months PD rates are applied to all future years, and the resulting net increase in rates would be discounted to the present and added to calculate the LEL. Although this approach is meant to cover all sorts of exposure (banking and otherwise) in a practical manner, it lacks a correct assessment of long term PD rates. Basel is still silent on how to calculate this, and based on what was outlined above, it eluded to the fact that this is controlled using LGDs instead. This is appropriate in our view as the LGD calculated under IRBA is normally discounted to present, and the LGD used under IRBF (of 45%) covers long term maturity periods automatically. If the issue of using long dated PD rates arises, and an appropriate calculation is required, then we believe the best way to tackle it is by using Transition Matrices. As an example, a risk rated 6 obligor has a PD of 6% over one year, and a 32% over 5 years. The discount factor will be tackled in the LGD instead (mathematically it is the same either way). I guess more on this in future…. In all cases, the changes that are warranted in the near 2 years are going to be phenomenal and the sooner the banks are prepared the better. What do you need to do now? Unless you have already adopted our Basel compliant Processes and Procedures, and are using our Credit Risk System, then contact us for help on ramzi.watfa@6sigmagrp.com. Previous Previous post: Are you ready for IFRS 9 impact on Credit Risk? Next Next post: How do TMRACs work in Credit Risk?